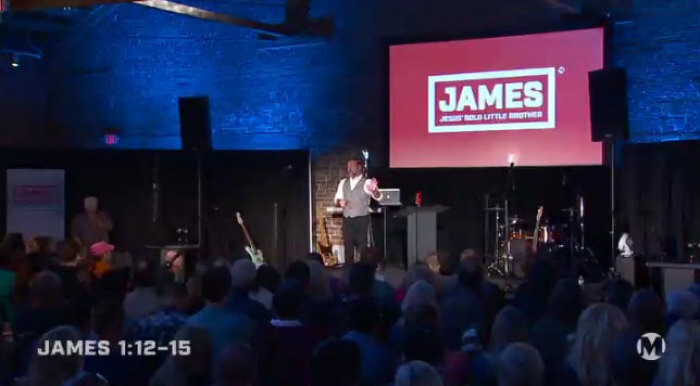 Former leaders from Seattle-based Mars Hill Church may return to serve the congregation, now that Mark Driscoll, the megachurch's founder and former head pastor, has resigned, according to recent local news reports. One former leader and member of Mars Hill who left because of Driscoll's leadership, Kevin Potts, told a news station that he is planning to return. "Hopefully helping that church rebuild into something that glorifies Christ," said Potts to KING 5 Television in an interview posted Sunday. "I'm not exactly sure what's going to happen when I show up to church tomorrow morning … My purpose isn't to show up and say, 'Ha ha, Mark's gone, we won.'" Another is former elder Rob Smith, who recently wrote that it "is my prayer that I am not the only bruised and wounded soldier limping back." Founded in October 1996, Mars Hill has grown from a Bible study held at the home of Mark and Grace Driscoll to a megachurch with fifteen campuses and an estimated 15,000 regular attendance. In 2007, Mars Hill approved new bylaws that gave Driscoll increased control over the Washington state megachurch. Since then, people within Mars Hill have complained that church founder and head pastor Driscoll was abusing his power, with some leaving in protest. Over the past several months, Driscoll has seen several controversies befall him and his leadership, including allegations of plagiarism, misappropriation of funds, and abuse of power. This summer, the group Acts 29 Network, which Driscoll had helped found, announced that they were removing Mars Hill from their membership due to complaints about Driscoll's leadership. Acts 29 said they were convinced that the accusations against Pastor Driscoll, "most of which have been confirmed by him," make it "untenable and unhelpful" to keep Mars Hill in the network. "In taking this action, our prayer is that it will encourage the leadership of Mars Hill to respond in a distinctive and godly manner so that the name of Christ will not continue to be dishonored," said the network. pulpit for a period of about six weeks. "Driscoll did not indicate whether he expected the temporary departure to become permanent," reported the Seattle Times in August. "He said he would refrain from any public speaking in the near future and is delaying the publication of his next book." In the same month, 21 former Mars Hill pastors filed formal charges against Driscoll, demanding that he be removed from his position. "We have submitted to the Mars Hill board of advisors and accountability the attached formal charges of Mark's disqualification from the pastoral office. We have signed these charges and intend to stand as witnesses," said the former pastors. "There are additional witnesses whose names have been withheld for their protection, but who also intend to testify in an investigation of these charges." By October, Mars Hill's elders concluded an investigation into charges leveled against Driscoll which involved interviewing over 50 people and preparing about 200 pages of information. The elders had found some accusations against Driscoll to be false and also stated that while not without his problems they did not believe he should have been removed from ministry. 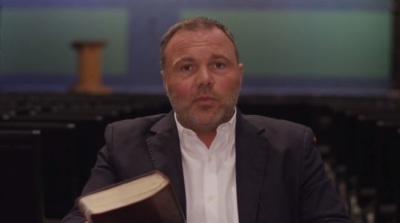 Last week, Mars Hill announced that Driscoll has tendered his resignation from the church he founded nearly twenty years ago. "The Board of Overseers has accepted that resignation and is moving forward with planning for pastoral transition, recognizing the challenge of such a task in a church that has only known one pastor since its founding," noted a statement on Mars Hill's website. "Mark Driscoll was not asked to resign; indeed, we were surprised to receive his resignation letter." According to the elders, Mars Hill Pastor Dave Bruskas will take over as lead pastor during this time of transition. While some former leaders and members are planning to return to Mars Hill, others have said that they remain opposed to coming back, reported KING 5.